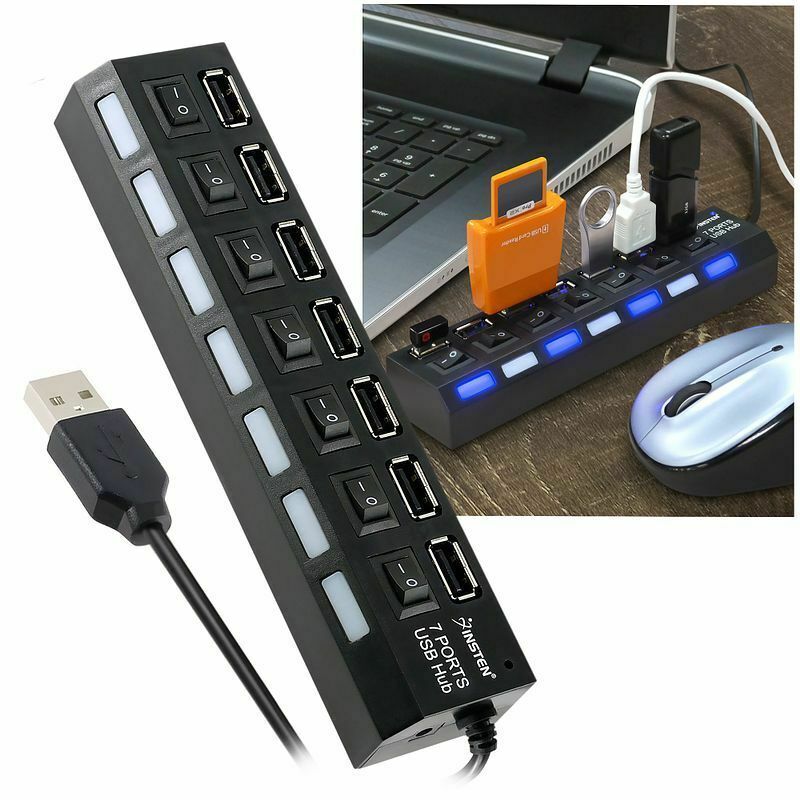 This USB hub has been specially developed for the needs in an electrical cabinet. It can be mounted reliably on DIN rails. Alternatively, it can be attached to all flat surfaces with screws. The solid aluminum case protects the hub when attached to machines or on the ground. All ports are mounted side-by-side, so that all outgoing cables can be easily laid in the grommet. Power is supplied via the terminal block with screw connection. The hub accepts DC voltage in a range of 5V – 48V. The hub can withstand high temperature variations as all components are designed for a wide temperature range. The operating temperature rises from -40 ° C to + 85 ° C.
The USB hub supports Hi-Speed USB 2.0 with data transfer rates of up to 480 Mbps. It is backwards compatible with USB 1.1 devices. A 9V and 5A power supply must be connected for the hub to operate via the AC power supply. The power supply is not supplied!